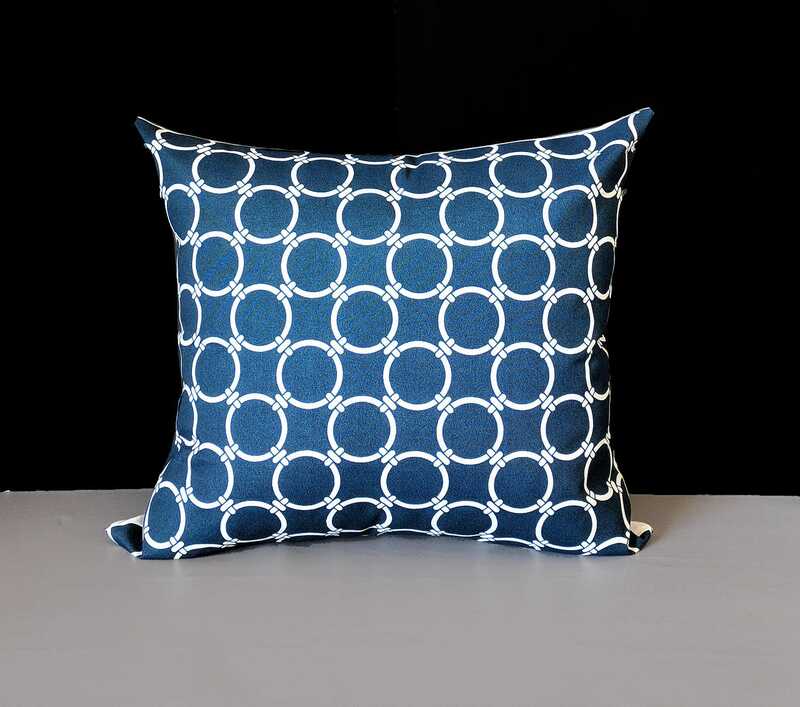 Beautiful pillow cover featuring Premier Prints' "Linked" in navy blue! Plain white on the reverse side. Invisible zipper closure, measures 23" x 20"